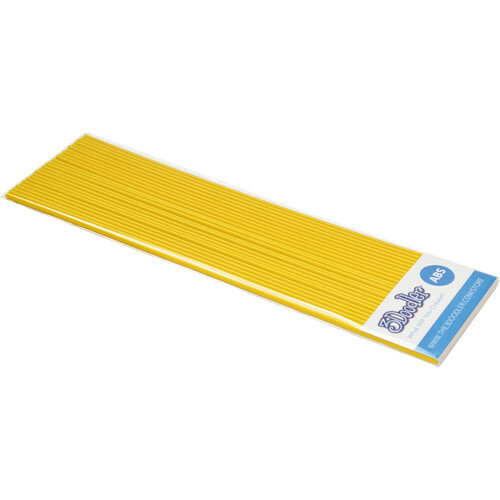 These ABS Plastic Strands in "sunnyside yellow" from 3Doodler come as a pack of 25 and are for use with your 3Doodler pen. Each straight-cut strand is 10" long and 3mm in diameter. Box Dimensions (LxWxH) 10.0 x 2.0 x 0.2"
ABS Plastic Filament Strands for the 3Doodler (Sunnyside Yellow, 25 Strands) is rated 4.5 out of 5 by 2.